The BMW 7 Series gets a striking new look for its first facelift, which is bound to split opinions. The enlarged grille makes a bold mission statement for the German company's long-standing luxury-sector rivalry with the Mercedes-Benz S-Class and Audi A8 – but under the skin, there's plenty going on, with new engines and tech underlining the car's flagship status. The front end of the 7 Series is changed the most. It's bulkier at the front to accommodate the 40% larger grille and required a new bonnet to fit around it. Exaggerating the enormous grille are new and slimmer headlights, which echoes the look of the new X5 and X7 models. Behind that, not too much has changed. 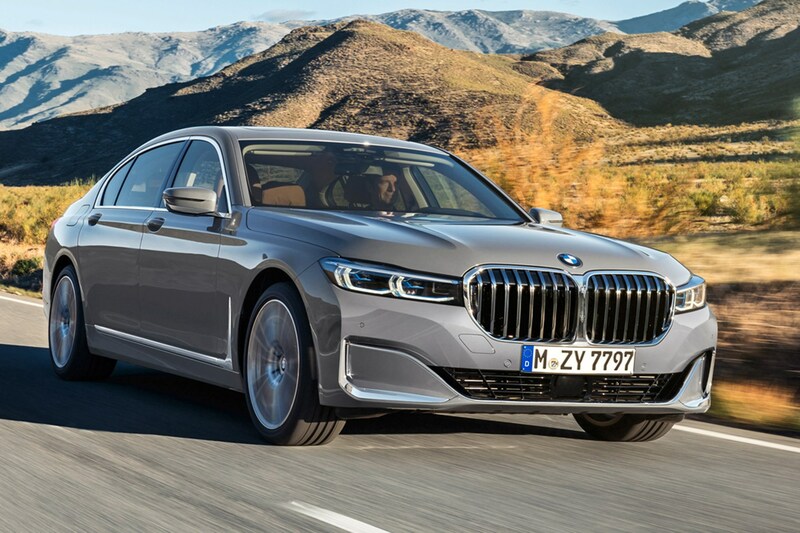 As before, the BMW 7 Series is offered in standard and long-wheelbase forms, with the longer of the pair gaining a 14cm stretch of its wheelbase. Most of this additional size benefits the rear-seat passengers. Both are 22mm longer than their predecessors. 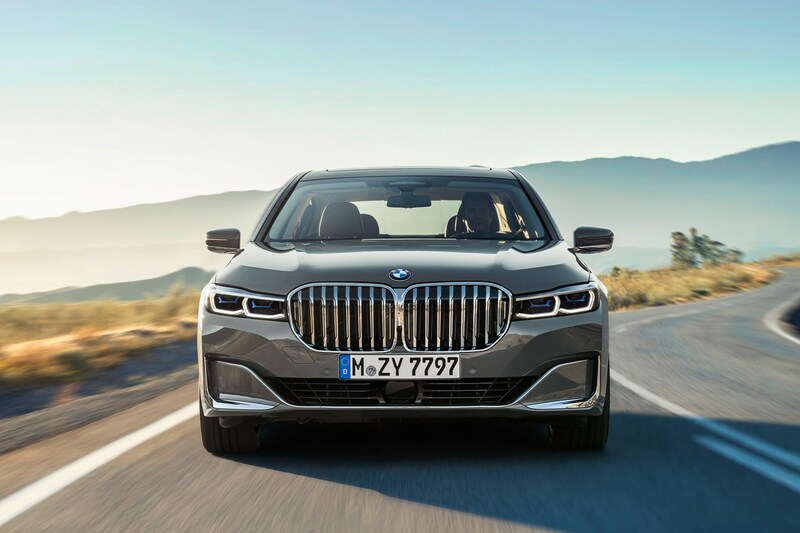 What new tech features in the new BMW 7 Series? 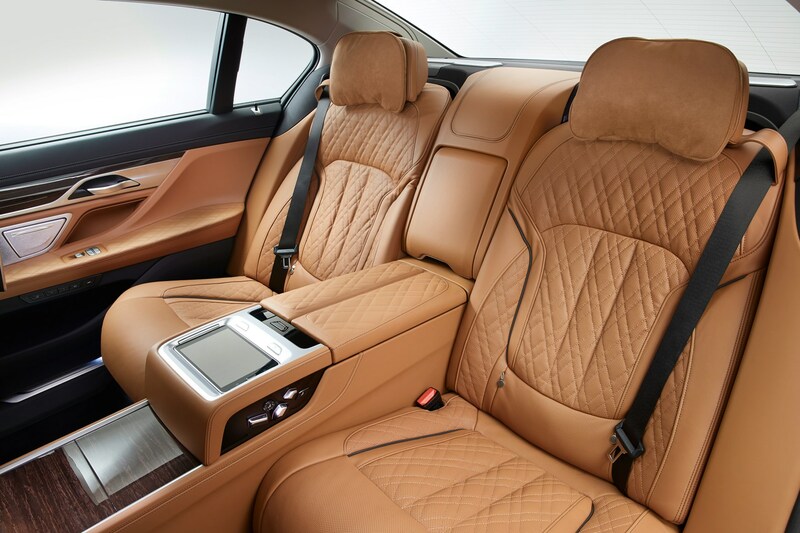 As you'd expect for a flagship model, the BMW 7 Series is packed with new and cutting-edge tech. 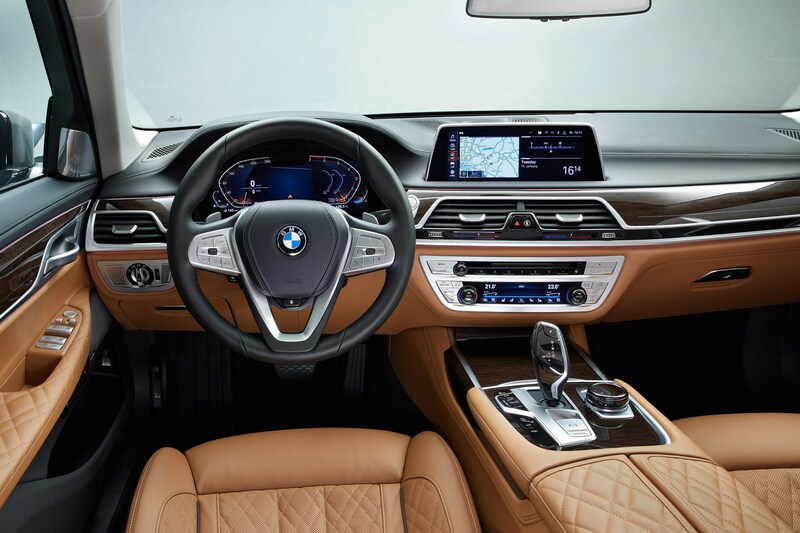 It features optimised acoustic comfort, a new digital display grouping of instrument cluster, BMW's latest Operating System 7.0 and the BMW Intelligent Personal Assistant, which will have you talking to your 7 Series, using the term 'Hey BMW'. Like its Audi and Mercedes-Benz rivals, the new 7 Series comes with impressive driver assistance systems, all of which have been upgraded. There's a new Reversing Assistant system. There are new and optional laser headlights, with a range of up to 560m on high-beam. All other models get adaptive LED headlights as standard. Optimised acoustic comfort – careful development of noise-making areas to make the rear passenger compartment quieter that before. New steering wheel controls and multifunction buttons. BMW Operating System 7.0 software. Optional Rear-seat entertainment system now comes with a pair of 10-inch, full-HD touchscreen displays including Blu-ray player. As before, there's a wide range of engines on offer. 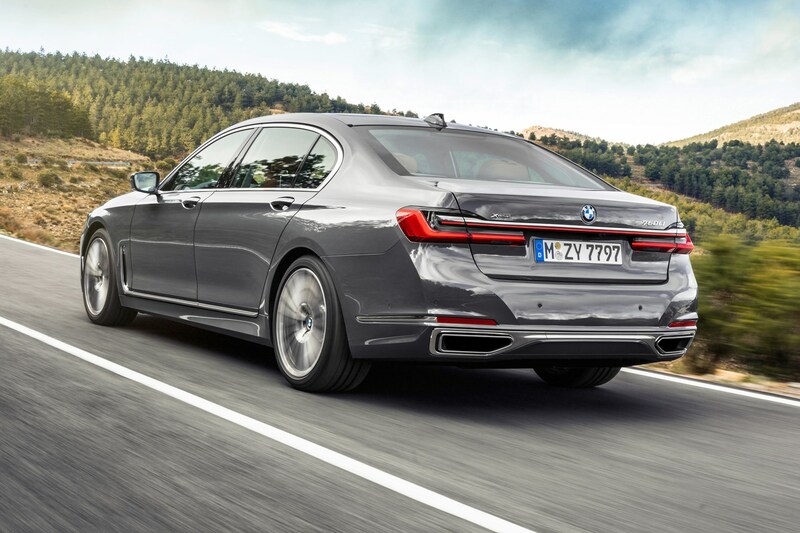 The top-of the range BMW M760Li xDriveis powered by a 6.6-litre V12 developing 585hp, and which emits CO2 emissions of 285–282g/km. It's cleaner than before, thanks to the addition of a particulate filter. The 750i xDrive gets the new 4.4-litre V8, which now develops 530hp compared with 450hp of the old model. Despite that, it's cleaner and more economical than before, with an official fuel consumption figure of 29.7mpg, and CO2 emissions of 217g/km. The 745e and Le models are based on a six-cylinder petrol engine, but in tandem with the electric motor, a combined 394hp is available. As with all PHEVs, the official fuel consumption figure of 108.6-134.5mpg reflects its best potential on short trips with a fully-charged battery. The claimed battery range of 31-36 miles is useful for city dwellers. There are three diesels to choose from, all 3.0-litres, but developing different power outputs. You can choose between the 750d (400hp), 740d (320hp) and 730d (265hp). All are cleaner, more efficient and have been fuel consumption than before. When does it go on sale in the UK? BMW has yet to confirm the UK launch date, but expect it to hit the showrooms before the summer, and the order book to open imminently. We'll update the BMW 7 Series full review with full pricing and spec details as they become available.